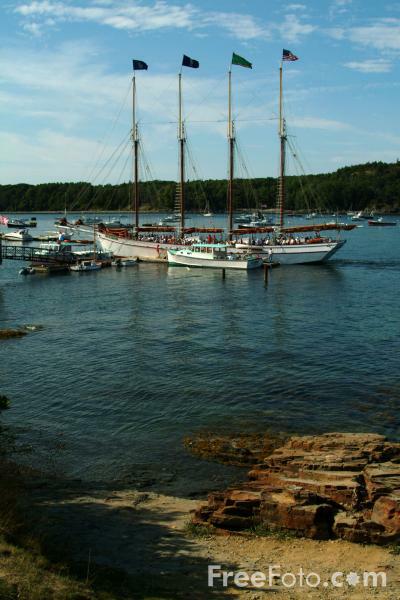 Photograph of the four-masted schooner Margaret Todd, Bar Harbor, Maine, USA. The four-masted schooner Margaret Todd sails with Downeast Windjammer Cruises out of Bar Harbor, Maine. She is currently running 2-hour daysails three times daily (in season) from Bar Harbor.